The prime minister and senior ministers have vehemently denied over the past two weeks all reports of a de-facto Israeli agreement to freeze construction in East Jerusalem, but this appears to be the reality on the ground. No construction is being seen in East Jerusalem, and neither is such construction planned for the foreseeable future. The main reason for this: fear of American wrath shared by the ministers as well senior public officials. 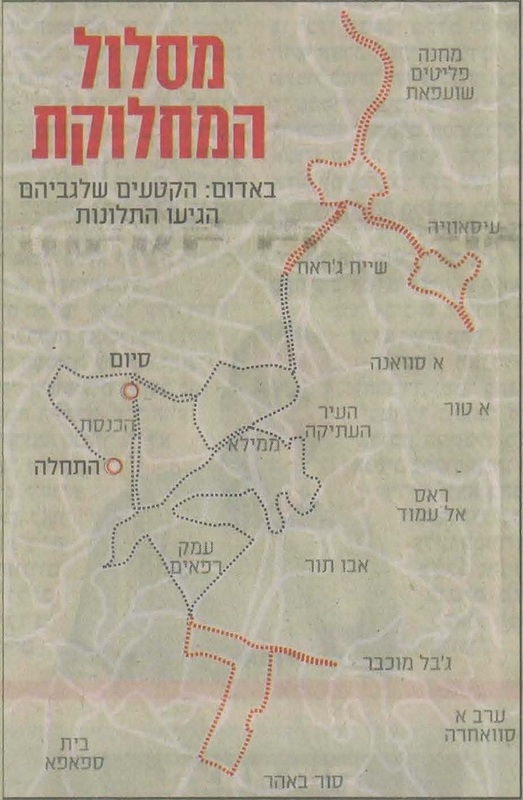 A Makor Rishon–Hatzofe inquiry reveals that American officials in Israel have consistently “shown interest” — as this is formally defined — in Israeli construction plans in Jerusalem. The US ambassador, the Jerusalem consul, and other American officials meet frequently with the relevant ministers and have been extracting from them detailed information on construction plans in the capital. “This interest is not very pleasant,” says a source familiar with the matter, “each minister understands the significance when an American official asks him about the nature of the next project, how many housing units it will include, when it will occur and so forth. Some ministers are also calculating their next step. And the result: on the eve of Passover, tenders for some 1,000 housing units in Ramot were expected to be released. These were halted by a command from high up. This was also the case with 130 housing units in Har Homa. These are the projects available for immediate advancement if only the political echelon would approve them, and it has not. Housing Minister Ariel Attias confirmed to the Knesset two days ago, that there was in fact an all-out construction freeze in the capital. 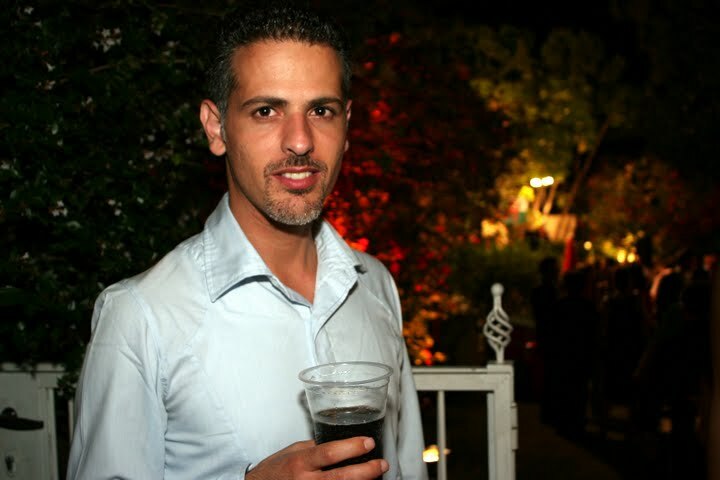 In response to a question from MK Uri Ariel from the National Union concerning the report that the government was refraining from releasing 1,000 housing units, which have already been approved, Attias confirmed that such information was correct. Ariel, chairman of the parliamentary lobbying group for Jerusalem, sent a letter to Prime Minister Binyamin Netanyahu in which he asked him to allow construction and approve the sale of apartments in Jerusalem. Ariel claims that the vast majority of Likud ministers are aware of this but do not dare to speak. 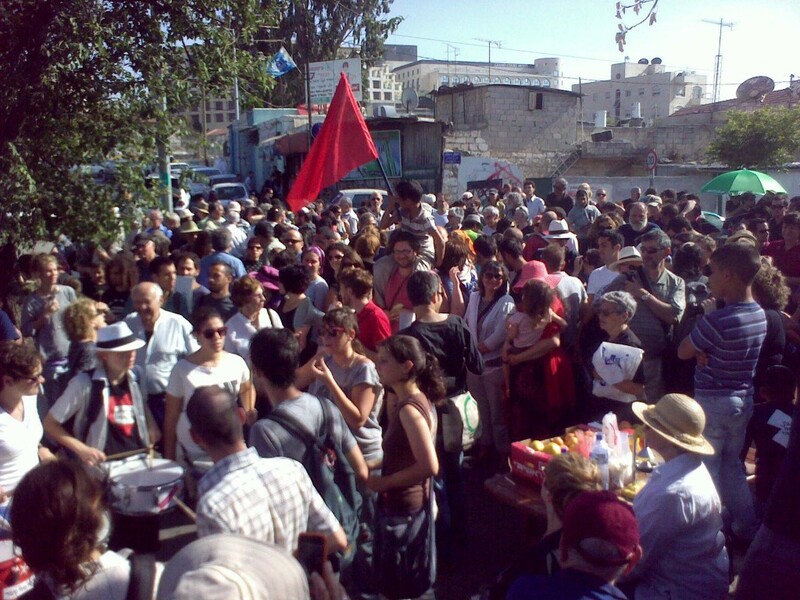 From the onset, in addition to protesting the injustice of the evictions, the activists at Sheikh Jarrah sought to leverage the demonstrations into direct action: Protecting the evicted Palestinian families, camped on the street outside their homes, from settlers using Friday afternoon “prayer meetings” as a launch point for attacks. The presence of Israelis at the family tents during this crucial time slot deterred some of the attacks and, in a few cases, even embarrassed the police into doing its job. The Jerusalem police was having none of it. At some point in the fall of 2009 a decision was made: The protests would be suppressed. Over one hundred arrests ensued over the following months. The highhandedness of the police backfired. It brought media attention and, with it, local and international support. The courts also consistently sided with the activists and police disrespect for the rule of law became increasingly unsustainable. In February, commanders ceased dispersing the Friday protests. Police still blocked the activists — now organized as a movement called “Just Jerusalem” — from actually standing with the families, corralling them in a playground a few hundred yards away. Instead of declaring victory and moving on, the youngsters redoubled their efforts to reach the tents. Arrests resumed. One activist was taken from the Friday night family dinner table. In mid April, a group of intellectuals led by author David Grossman witnessed a police assault and spoke out. More Israelis joined the protests. On Friday (April 23 2010) the police broke. At 4:00pm most of the demonstrators gathered in the playground, a few dozen activists appeared out of nowhere outside the Hanoun family home. The new local commander (the top brass had apparently had enough of his predecessor) approached the group and ordered them to disperse. Their response: This is a legal vigil and we’re not moving. The police force stood down. Later, as the group joined the main body, Sara Beninnga, the indefatigable cheer leader of the protests, announced on her megaphone that the action would be repeated every week and replicated at other Jerusalem hot spots. On Sunday, as settler extremists marched through Silwan, the Sheikh Jarrah activists were there to lead the counter-demonstration. 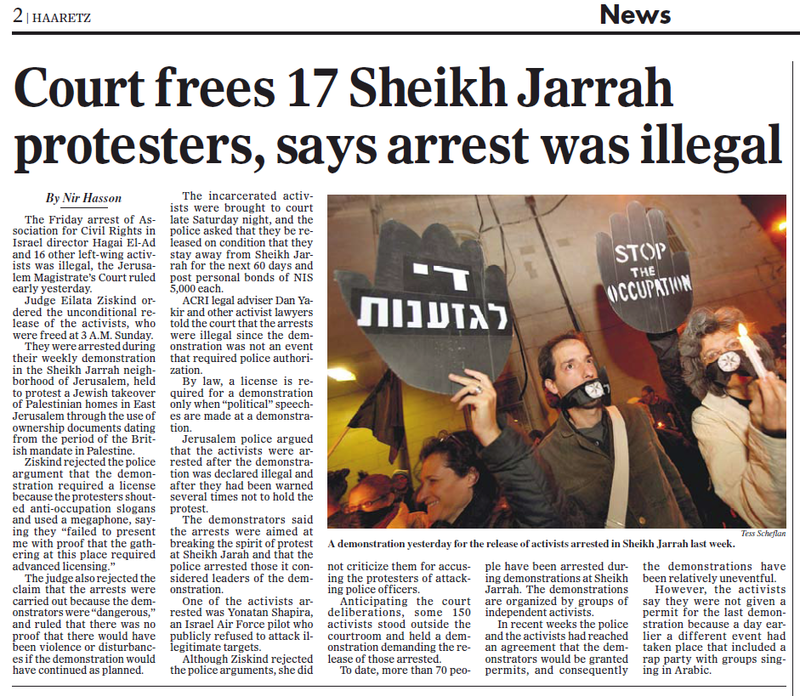 Six months, dozens of arrests and hundreds of newspaper headlines later, the small band of Israeli peace activists has surprised itself by taking on the appearance of a full-blown political movement. 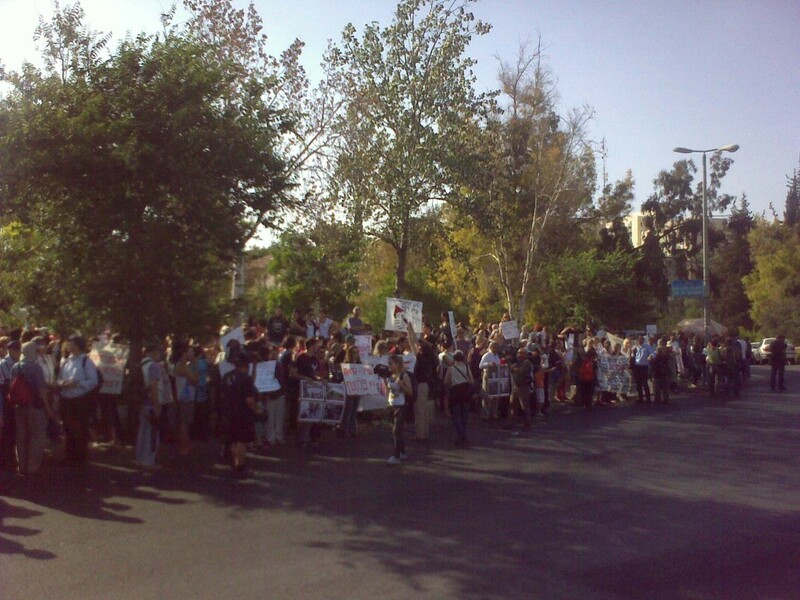 The regular demonstrations have broadened into protests against the Israeli occupation of Palestinian land in general. Some Israelis also come to register their disapproval of police action against the gatherings, adding freedom of speech to the other grievances. 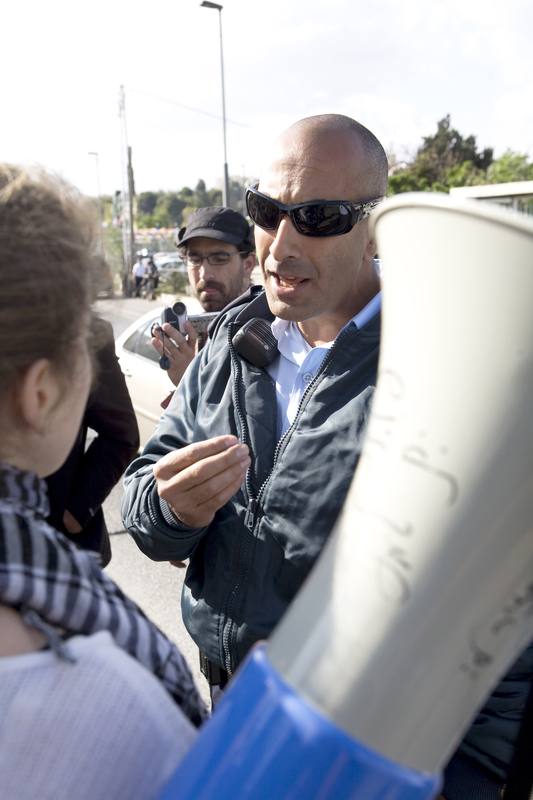 As a result, the protesters’ ranks are now studded with some of Israel’s most prominent intellectuals and writers.